Several tourism industry employees from SoIN have been nominated for their service excellence. Each year, the Louisville ROSE awards celebrate the frontline and behind-the-scenes employees who meet visitors and give these guests the first impression of our area. There was much pre-event media coverage of the “great American eclipse” and the expected influx of visitors to the path of totality on August 21st. 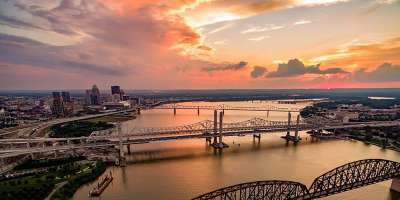 From large cities with plenty of visitor infrastructure (Nashville) to the smallest community with limited hotel space (Hopkinsville, Ky.), destinations prepared to welcome visitors. With the total eclipse corridor being so close, we certainly didn’t expect, nor did we get many visitors viewing our partial eclipse. Many of us went outside with our special glasses and watched the 96% coverage and then went back to work. All of us knew the eclipse was a big deal. But what were we expecting and how did we fare? Building on the amazing momentum you helped create this summer, a full slate of Certified Tourism Ambassador (CTA) classes is being offered this fall.